Hanan Abdel Meguid, owner of OTVentures, which operates in 17 countries and maintains exclusive partnerships with Facebook and Microsoft. When Hanan Abdel Meguid started her first technology company in Cairo nearly 20 years ago, the Web was not publicly available in the Middle East and many big global players like Microsoft did not operate there. Now, Ms. Meguid, 42, oversees OTVentures, one of the region’s largest technology companies, which operates in 17 countries and maintains exclusive partnerships with Facebook and Microsoft. Ms. Meguid has a unique perch from which to view the change. As a serial entrepreneur in the early years of the Internet, she had to develop her own playbook, learning to raise money from venture capitalists, manage multiple technology platforms and strike deals with large international companies. They are lessons she is sharing with the next generation of start-ups by guiding young entrepreneurs on how to turn ideas into commercially viable businesses. Ms. Meguid ended up in technology by chance. In the early 1990s as a student at the American University in Cairo, she decided to major in computer science even though she had never seen a computer. After spending nights coding, she switched to economics to try something a little easier, but a year later went back to the field, one dominated by men. She got the idea for her first venture, Microlabs, while playing squash with a classmate, Khaled Bichara, during a college trip to Sharm el Sheik, an Egyptian town on the Red Sea. Ms. Meguid and Mr. Bichara wanted to work as programmers, but the two realized that there were no companies in Egypt to develop programs for the Windows platform. I.B.M., one of the few international technology companies in Egypt at the time, had only a sales office with no development capabilities. So they decided to start their own business. Microlabs got off to a quick start in 1993. With only $3,500 and three computers, they landed contracts to create accounting systems for big companies and won a competition to design a time-management software for the Egyptian government. But the venture started to sour a year later when Microlabs merged with a larger software company, Pie Practical Solutions. The two businesses began working together right away to migrate a software program to the Windows platform, expecting to take care of legal paperwork later that would formalize the combination. While the business took off, everything was still legally under the name of Pie Practical, and the Microlabs team was not entitled to any of the profits. After being pushed out of the merged entity, Ms. Meguid, who had registered Microlabs in her name, was stuck winding down the operations for what was left. It was a complicated process, given that the laws about liquidating a business and settling debt were unclear at the time. Even after she thought Microlabs had been shut down, she received letters six years later from government authorities asking for outstanding taxes. Wael Amin — one of the three founders of Microlabs who stayed on with Pie — said that the merged entity eventually went broke and dissolved. With the failure fresh in her mind, she opted in 1996 for a more low-key and stable position, developing Web sites for the Egyptian government. The government role gave her access to the Internet, which was not commercially available at the time. She recalls the first Web site she saw was Yahoo, which was updated once a day with the latest news. Eventually, she was tapped to run Web development for the government. The entrepreneurial spirit remained. A year later, she joined a start-up affiliated with Orascom Telecom alongside Mr. Bichara called Link Development. It took six months for him to persuade her to join, but Ms. Meguid eventually accepted the challenge because it provided freedom to develop “dream Web sites and services” and prepare for the day when the Internet would become a commercial success. Ms. Meguid, who became the chief executive of Link, began developing cultural Web sites like yallabina.com and partnered with Microsoft at the end of 1997. Her past mistakes have informed her current decisions. She paid extra attention to the legal process when Link merged with InTouch Communications in 2000 to form LinkdotNet. 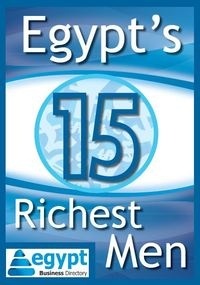 Her network also widened when LinkdotNet acquired eight established Egyptian Internet companies two years later. After Link sold part of the business to Mobinil for $130 million last year, Ms. Meguid took on the role of chief executive of the spin-off firm, OTVentures. In the current environment, Ms. Meguid is adapting to the changing political environment in her home country. When the Egyptian revolution began in early 2011, many of Ms. Meguid’s clients cut their budgets. But the situation also heightened the awareness of social media and entrepreneurship, all of which she thinks will drive the technology industry in the region. “The revolution turned out to be a validation of our vision,” she said.